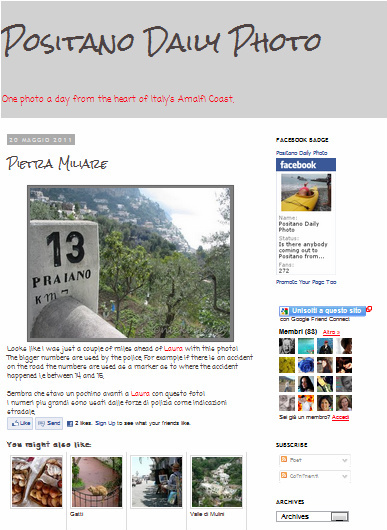 Today I would like to present an excellent site written by a British expat living in Positano: on her Blog Positano Daily Photo and Facebook Site, on a daily basis, she shares the most beautiful pictures of everyday life on the coast. So interesting to see the color of the sea, life on the beach, beautiful spots for lunch, recommendations for walks, flowers, fruit trees, and what is more, regularly. So if you go to this site and have been doing so for quite a few months, you will find that even though you have not been to Positano (or that often), you start feeling quite at home.